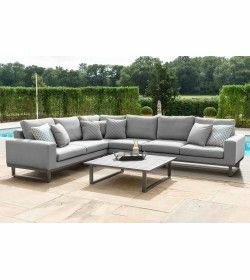 4 sofa pieces and a central Rising Table footstool, that when placed together transform it from a sofa set into a large daybed that can cater for multiple people. This garden furniture set is versatile as you can both cater for guests or merge the set together to lie across its large surface area. Each sofa piece features a curved cushioned back which provides ample support. 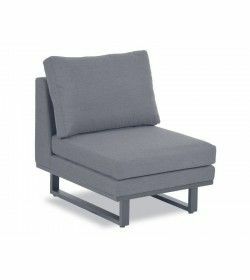 When separated, its central piece doubles as a footstool for lounging. outdoor sectional sofa features all-weather fabric is durable and can last outside in any climate. It is easily cleaned with warm water and resistant to fading from the sun.